Skye Gravestones | Trumpan Burial Ground. 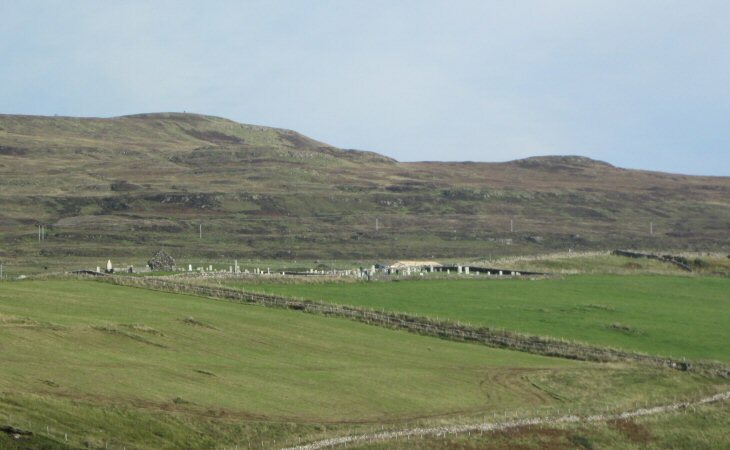 This is an ancient sacred site on the Waternish peninsula, lying above Ardmore Bay with fine views across The Minch towards the Western Isles. The grisly events at Trumpan church are always related in histories of Skye. Thank you Roddie MacPherson for the wonderful photos of the burial grounds of Skye. My Fraser/MacLeod family (circa 1780's) were from Lusta, Waternish, no burial records, but probably buried here at Trumpan. Added by Pauline on 07 December 2018.